Round Three Finals is a Wrap for Summer Recon Tour BMX Contest Series San Diego, CA (October 8, 2012): The Recon Tour presented by Monster Army wrapped up on Saturday at the Krause Family Skatepark / Mission Valley YMCA in San Diego, CA. The Clairemont park was packed drawing over 110 entrees from Colorado, Utah, Arizona, Nevada, California as well as hundreds of friends and family who all made it out for the finals. Ross Lanier again showed he was the one to beat as he dominated the park taking home both the round 3 win and overall title in the Open / Pro division collecting $1,500 for his efforts. Woodward locals Jake Leiva and Sebastian Smith from Tehachapi, CA took home the 2nd and 3rd spots beating out nearly 25 total entries in the open division. Open / Pro rider Jake Leiva also won Best Trick and a $500 cash prize during a new post-event contest hosted by Dennis Enarson from Markit and Henry from East County BMX. Trevor Fitz from Norco, CA took home the top spot in 18+ division as well as the overall win for the series. Brad Thomas from Chino, CA took his second win in the 15-17 advanced division, but it was Oscar Maldonado from Homeland, CA taking the overall series win. Monster Army rider Pierce Howell from Santee, CA continued his winning ways taking home his second consecutive win of the tour in the 12-14 Advanced division as well as the overall series win. The top 3 from this event and overall winners were rewarded with insane prizes, including a GoPro Camera, Rockwell Watch, Monster Army backpacks and apparel, SPY sunglasses and other prizes from Hookit and tour partners. Over $1,000 was raised for Brett ‘Mad Dog’ Banasiewicz in a special fundraiser to offer continued support in his recovery. A handful of winners went home with a Monster Energy fridge, two complete Mirraco Bikes, a Haro frame, Pro-Tec Helmets and parts and apparel from Primo BMX, Pant Saggin Dezigns, SPY, Flying Icon, Armourdillo and Swearcrew. “We couldn’t be happier with the way things ended after our first Recon Tour,” said Scott Tilton, CEO of Hookit, which runs the Recon Tour. “Our only goal was to put together solid contests that helped the riders get their name out there while giving brand partners new ways to support the riders. Thank you so much to everyone who helped make this happen.” “The last and final stop of the Recon Tour was absolutely amazing and I’m really stoked on the vibe and where the tour is headed,” said Christopher Stumbles from Monster Energy. “We’re looking forward to blowing it up for years to come and really giving back to the riders.” Below are the final results from round three and the overall finishes in each division. 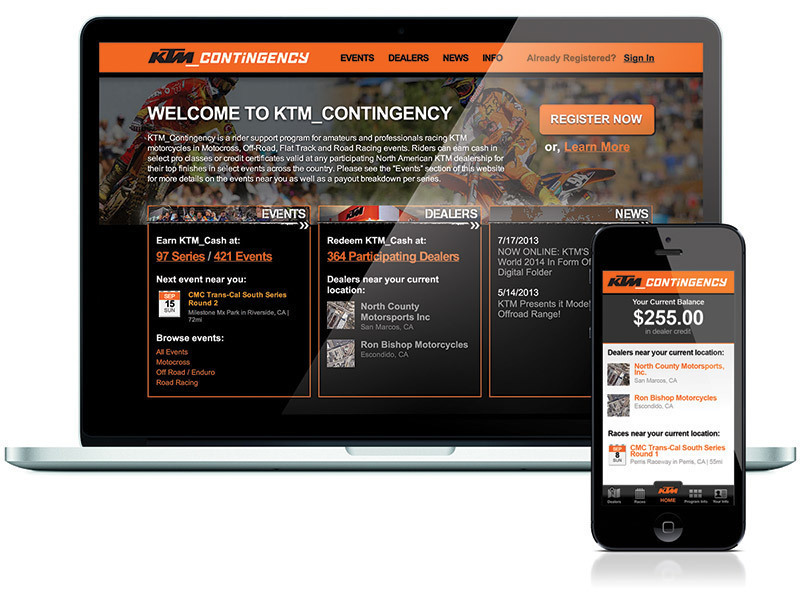 For a complete list of results and overall standings or to view photos, videos and rider profiles, visit www.theReconTour.com. Open / Pro Round 3 Results 1st – Ross Lanier – Newberry Springs, CA 2nd – Jake Anthony Leiva – Tehachapi, CA 3rd – Sebastian Smith – Tehachapi, CA Open / Pro Overall Tour Results 1st – Ross Lanier – Newberry Springs, CA 2nd – Justin Spriet – Murrieta, CA 3rd – Mitch McKelvey – San Diego, CA 18 & Over Round 3 Results 1st– Trevor Fitz – Camarillo, CA 2nd – Tyler Vosburgh – El Cajon, CA 3rd – Lawrence Meimetis – Norco, CA 18 & Over Overall Tour Results 1st – Trevor Fitz – Camarillo, CA 2nd – Lawrence Meimetis – Norco, CA 3rd – Blake Peters – La Mesa, CA 15-17 Advanced Round 3 Results 1st – Brad Thomas – Chino, CA 2nd – Kyler Horton – Surprise, AZ 3rd – Oscar Maldonado – Homeland, CA 15-17 Advanced Overall Series Results 1st – Oscar Maldonado – Homeland, CA 2nd – Brad Thomas – Chino, CA 3rd – Shane Davis – Hemet, CA 12-14 Advanced Round 3 Results 1st – Pierce Howell – Santee, CA 2nd – Antonio Chavez – Chandler, AZ 3rd – Emmet Thomas – Newbury Park, CA 12-14 Advanced Overall Series Results 1st – Pierce Howell – Santee, CA 2nd – Emmet Thomas – Newbury Park, CA 3rd – Shay Hawkins – Murrieta, CA 11 & Under Advanced Round 3 Results 1st – Tyler Bush – Corona, CA 2nd – Kaden Stone – Lake Elsinore, CA 3rd – Erik Aguilar – El Centro, CA 11 & Under Advanced Overall Series Results 1st – Kaden Stone – Lake Elsinore, CA 2nd – Tyler Bush – Corona, CA 3rd – Erik Aguilar – El Centro, CA Girls Round 3 Results 1st – Nikita Ducarroz – Sonoma, CA 2nd – Rayvionne French – Los Angeles, CA Girls Overall Series Results 1st – Rayvionne French – Los Angeles, CA 2nd – Nikita Ducarroz – Sonoma, CA 15-17 Novice Round 3 Results 1st – Austin McIntosh – Lakeside, CA 2nd – Augie Adee – Bakersfield, CA 3rd – Jerimiha Nusbaum – Santee, CA 15-17 Novice Round 3 Results 1st – Jerimiha Nusbaum – Santee, CA 2nd – Cody Norvell – Murrieta, CA 3rd – Ernesto Fernandez – San Diego, CA 12-14 Novice Round 3 Results 1st – Trevyn Gibbs – Vail, AZ 2nd – Jonathan Byrd – Chula Vista, CA 3rd – Michael Mendoza – Castaic, CA 12-14 Novice Overall Series Results 1st – Tony Moreno – San Marcos, CA 2nd – Trevyn Gibbs – Vail, AZ 3rd – Austin Sosnowski – San Diego, CA 11 & Under Novice Round 3 Results 1st – Jacob Blais – Tucson, AZ 2nd – Jason Blais – Tucson, AZ 3rd – Emmet Young – Homeland, CA 11 & Under Novice Overall Series Results 1st – Emmet Young – Homeland, CA 2nd – Jacob Blais – Tucson, AZ 3rd – Jason Blais – Tucson, AZ Stay tuned at www.theReconTour.com for details on upcoming events for winter and summer 2013. About the Recon Tour Owned and operated by Hookit, the Recon Tour is an action sports event series designed to support the athletes. The Recon Tour’s mission is to provide a better event and digital platform for athletes of all ages, amateur to pro to compete and showcase their talent. For more information, visit www.theReconTour.com, www.facebook.com/recontour, Twitter @recontour or Instagram #recontour.